Ben Fernando recently spent the year working on Cassini, which is a joint ESA/NASA session currently in orbit around Saturn, and also did two summer sessions at CERN (based at the LHCb detector). The European Organisation for Nuclear Research (CERN) and the European Space Energy (ESA) are often cited by those in favour of Brexit as examples of European organisations which do not rely upon the EU, and hence would not suffer in the event of a vote to leave. However, the proponents of such arguments fundamentally fail to understand the way in which such organisations work. Both are completely reliant on EU legislation and structures for their day to day operation, even if they are not ‘EU institutions’ in the same way that the European Central Bank and European Court of Justice are. First, consider the way in which ESA’s sites are spread across Europe. Its headquarters are in Paris, space astronomy research is based in Madrid, the astronaut training centre is in Germany and it has tracking stations in Sweden, Belgium, Spain and Portugal. 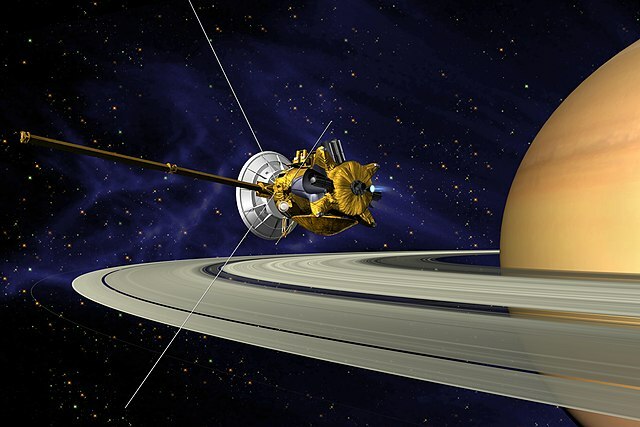 An engineer working on the Cassini mission (the current topic of my own research) might one day find themselves at the Airbus contractors’ site in Stevenage, the next day at the science control centre in the Netherlands and the next at mission control in Darmstadt, Germany. Much the same applies to CERN. The main facility is located on the French-Swiss border, neutrino experiments are carried out Gran Sasso in Italy and the data centre is located in Budapest, Hungary. Such operations simply could not be successful without the freedom of movement that the European Union brings researchers from across the world, either directly or through Schengen. The personnel benefits that CERN derives from the EU are, however, not simply limited to freedom of movement. European Union Marie Curie fellowships allow world-leading postgraduate researchers the chance to do fundamental research at the world’s largest particle physics facility, increasing the calibre of research carried out. The European Commission’s Erasmus exchange program enables enthusiastic undergraduate students from across the continent the chance to experience life at a research institution regardless of their financial background. Because of EU rules, such visitors rest assured that their healthcare is covered through the EHIC system, that welfare benefits their dependents may receive are not at risk, and that they may come and go from their home countries as they wish. This is no doubt why such organisations are able to retain the incredible talent of the scientists that work at them. The fact that many of CERN’s member states are members of the EU also gives CERN the opportunity to benefit considerably from the European Commission’s Horizon 2020 funding program. Horizon 2020 is the most ambitious scientific funding endeavour that Europe has ever undertaken, and will offer up to €80bn in funding to member organisations in period from 2014-20. In the previous funding round, which ran until 2013, CERN did disproportionally well – receiving €110 million in funding for 87 projects. Similarly, the director-general of ESA recently remarked when referring to Horizon 2020 that co-operation between the organisation and the EU is crucial to the success of space research in Europe. It is perhaps unsurprising to note that scientific collaborations of this size and type occur nowhere else in the world. After all, nowhere else does an organisation like the EU lay the framework and establish the support structure necessary for such massive, yet highly successful, collaborations to occur. It is hard to say what impact a Brexit vote would have on CERN and ESA. The UK could, of course, after protracted renegotiation, continue to partake in the structures that make scientific collaboration in Europe so successful. However, with controls on freedom of movement preventing full accession to Horizon 2020 and the loss of a seat on the European Commission, the UK would lose a great deal of its say in how the EU money is used to benefit UK researchers at CERN and ESA. We would be at the whim of other countries, each of which would no doubt be happy to see additional funding diverted to their own researchers. Domestic UK science might possibly survive this. But I suspect the cost to our European collaborations will be far greater. I want Ukraine to be in the European Union. Ten projects organized Ukraine European Union http://www.uaeuro.com Own power created the Internet page of the European Union. I give her the label. They gave twenty-two thousand. Eighty published yet developed our own strength icon EU. I continue to work on it and see the future. I want to do even better site and its development. To develop the idea of ​​giving the EU an icon, icon of obtaining funds to implement the ideas on the development of the site, which gradually develops. I appeal to you to make two hundred thousand icons and give them to me for giving phased. I hope for your support.